The Miranda Day Bag by Lazy Girl Designs is great for toting around sewing projects, books, magazines, children’s toys, or anything else you need to take with you on the go. The handles on the bag give it a very elegant look and you can dress is up or down depending on the fabric used. This version uses the Heritage line from Collections for Cause by Moda. It is one of my favorite fabrics! The birds were fussy cut for the best placement. I love how this little guy is all alone and is looking off into the distance at something. 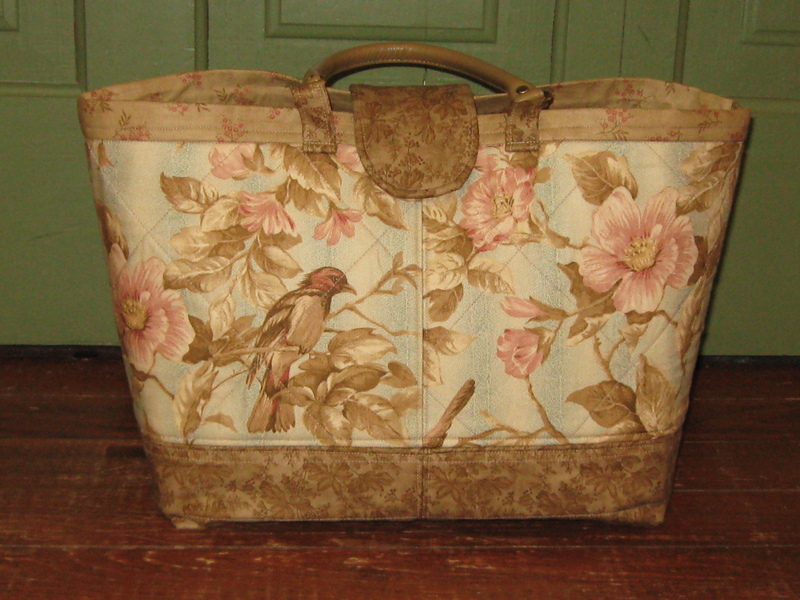 The bag is very sturdy – the exterior is quilted and fusible fleece is used on the interior. This helps the bag stand up so you can easily put things in and taken them out of the bag. 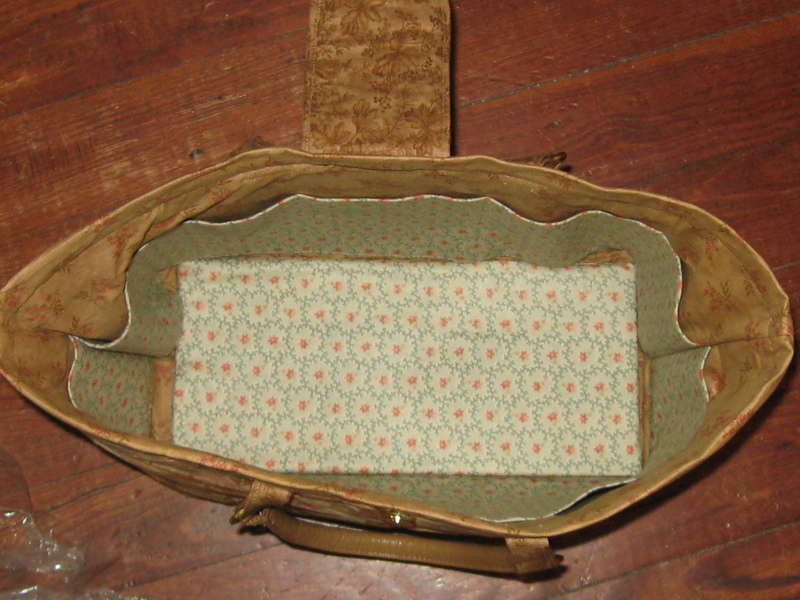 The interior includes lots of pockets so you can keep everything organized! Lazy Girl patterns are really easy to use. The designer includes a photo of each step in the picture, as well as detailed cutting instructions. You can practically make the bag just by looking at the pictures (however I always encourage you to read the instructions too)! The true definition of “keeping it thimble.” (Couldn’t resist that one). My favorite bag so far!!! Love how you focused on the bird in the fabric!! Well done!! !